To Netdeck or not to Netdeck! Netdecking can either be used as a neutral term describing the process in which someone copies a deck online - usually a tournament winning deck - or makes a deck heavily inspired by and almost indistinguishable from it. OR it can be used as a derogatory term implicitly stating that the player copying the author of the original deck, "is simply not smart enough to create a deck on his own". And because of this lack of intelligence (or skill within the game) the player has to resort to a kind of pseudo-cheating in order to make up for his inabilities. In our YOUR Destiny Podcast we have on numerous occations praised the hyperloopers: Joe, Nick and Mike (in no specific order) for spoiling us with decks that are amazingly innovative, either in their popularization of archetypes (Sabine/Ezra), approach to the game (Rey/Aayla), their pure abusiveness of the game mechanics (Rainbow9 and BrOTK) or efficiency (Drive-by-Shooting). And lets not forgot the extraordinary commitment to the simple but yet advanced strategy of Jonathan Magnuson of the Destiny Council. 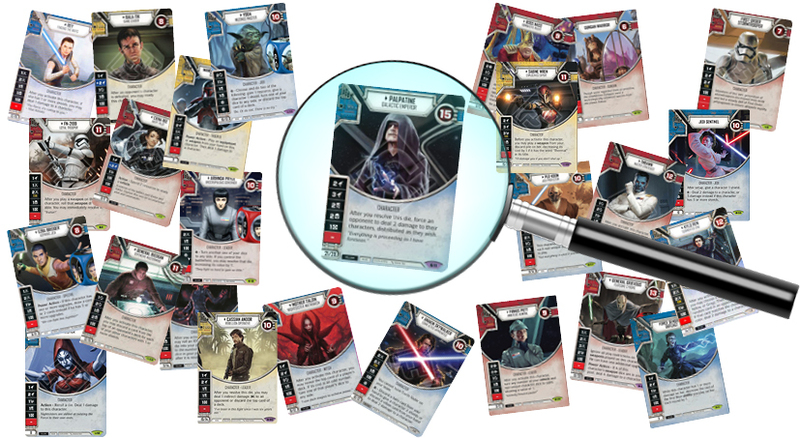 And while it has to be acknowledged that there are some truly great minds out there, that have been creative and innovative, and have brought about great changes to WHAT characters we play in Star Wars Destiny, despite all their efforts, and blessings they brought to the game, they cannot outshine the hivemind of the internet. 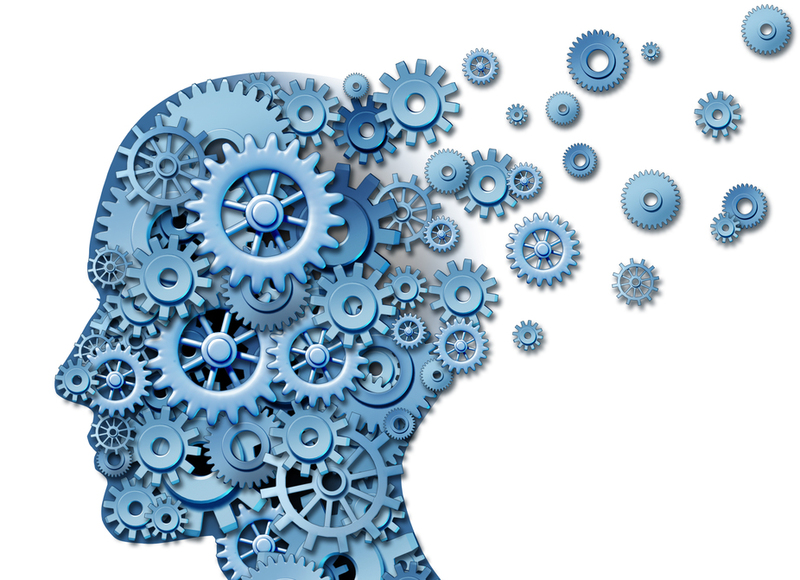 We are all either victims of it or the beneficiaries of it - depending on your perspective. Improvements can always be made to what seems already perfect. None of the above mentioned, just to clarify, have ever claimed otherwise. Right up until the moment when Mads Utzon banished It Binds All Things onto the ash heap of history, competitive players across the world believed it to be the bread and butter of ramping for blue decks. They were wrong and Mads will also be proven wrong eventually. We all stand corrected. 10000 minds will always be better than 1. We constantly need to improve what we believe to be impeccable. 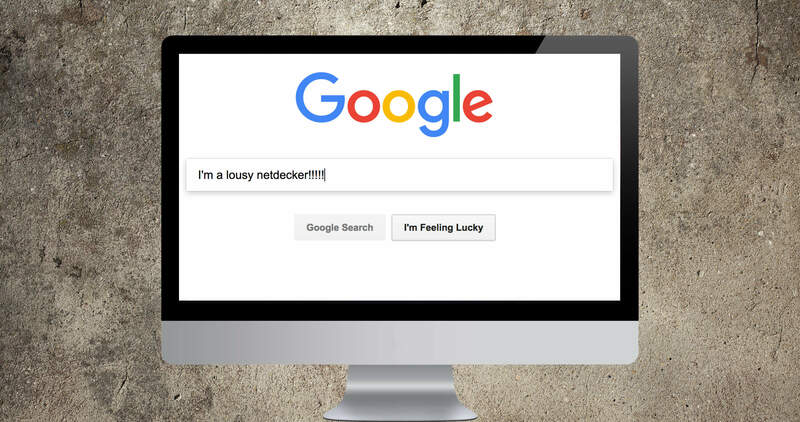 MY NAME IS CLAUS AND I'M A NETDECKER! My strength as a Star Wars Destiny player is not my ability to build new innovative decks. It is to improve my game play. I always analyze my games and improve all the time (hopefully). My starting point has almost always been netdecking. I look at the creations of the Star Wars Destiny hivemind and try to find out how can I use those builds to break the format. I truly believe that strides can be made by continuously improving and optimizing your ability to understand not only how a deck works, but at the same time understanding what makes it work. The Argentinian literary Jorge Luis Borges once said "Let others pride themselves about how many pages they have written; I'd rather boast about the ones I've read. ", implicitly stating the point I reiterated above. I'd rather understand and comprehend the depth, width and extensiveness of a deck than be the one who "came up with it". You might be the one who invented the wheel, but you'll be outpaced by the automobile. Great deck designers are also often great players, but the two are not inextricably linked, and while there are loads of examples of the first, there are also plenty of examples of the latter. I've encountered plenty of great players who did not conjure up a single innovative deck, but who had a great grasp of the mechanics of the game, an understanding of what works and doesn't work and who won hundreds of games off that understanding. If you love tinkering with character pairings then please continue to do so, and you might woah! the entire Destiny community with your next great brew, but if you'd rather play more games, hone your skills and improve other aspects of your palette as a Star Wars Destiny player, then do exactly that! And let's admit it, some deck builders are just better than others. If your greatest contribution to the history of deck building was to realize that Elite Palpatine could be pretty strong, then you might not belong to that particular group of individuals. If you brought ePalp to a large tournament and did well, like Monk Familia and Andrew Eyles, amongst others, maybe that's your strength right there (even if it was Jeff Jeakins, to my understanding, who came up with the idea of "Naked Palpatine". And probably some poor unsong hero somewhere found out even prior to that). It is NOT a rule of the game that you need to come up with your own "brew" (I checked). 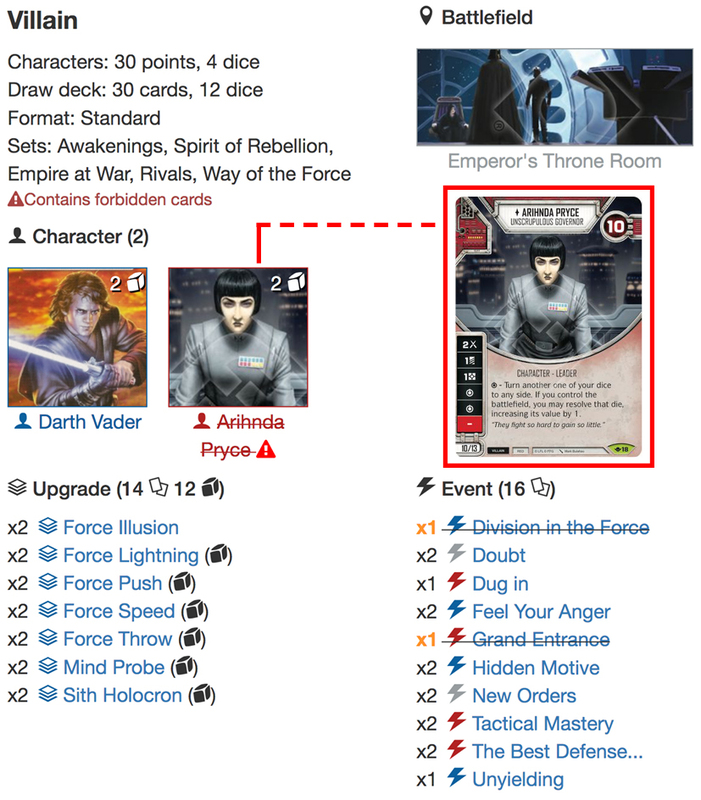 Edwin Chen didn't revolutionize the game with Kylo/Anakin, yet he became the World Champion, and Mads Utzon wasn't the first player to field Rey/Aayla, yet he claimed the crown at Euros, and I myself would rather spend 2 hours grinding games than sweating over my binders with characters to try and figure out what bad brew to dismiss next. IF IT'S BAD ... THEN ... IT'S BAD! I've often talked with players, who have claimed that they came up with a certain character pairing, and while they of course don't actually believe that they were the first to THINK of it, or even sleeve the cards up and bring it for a game, what is implicitly said is, that because they "came up with it" without help from internet sources, podcasts or talks on various Discord channels, then it is intrinsically good. Well ... I'm here to tell you, that if a deck is bad then it's bad regardless of the circumstances that brought it about. A deck just doesn't become good because you alone came up with it! PERIOD. In that sense there is no ethical aspect of Star Wars Destiny. It's a game! Pure and simple! We need to rid ourselves of this pseudo Manichean binary, that sees the home brewer as the antithesis of the netdecker. You don't get a moral upper hand just because you built your own bad deck ... sorry to put it so bluntly, but that's how I see it! I'll celebrate great skills, whether in deck building or game play any day. And although I don't believe in the current educational climate of excellency before anything else, I'll be damned before I start celebrating mediocrity. That also doesn't have an intrinsic value. As Way of the Force is about to change the meta we'll see plenty of new decks out there. Rest assured of that. You don't need to be the first with everything! Pick decks that you believe to be good and then: GIT GUD! A good place to start are some of the articles that have been published by various content creators, including articles on game theory and deck analyses on this website. And just to finish off the article properly, I added a bad brew for when Way of the Force is out ... if it's any good - which it's not - I made it myself, if it's bad - which it is - I netdecked it!